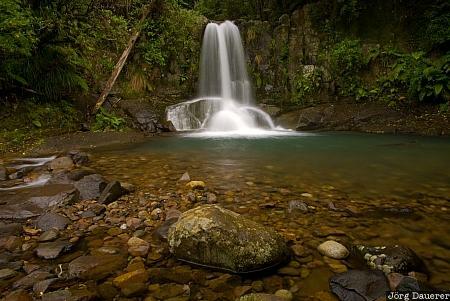 Waiau Falls near the 309 road in the north of Coromandel Peninsula, Waikato, on the north island of New Zealand. This photo was taken in the evening of a cloudy day in October of 2008. This photo is part of the exhibition Waterfalls (June 2009). This photo was taken with a digital camera.